The on-site GSPCA Charity Shop has this month welcomed three new faces who will be helping to run the on site shop to raise much needed funds for the hundreds of animals in our care and the thousands we help each year. We are currently appealing for a kind company to help put a floor into the shop area which has currently got bare concrete. We are looking at options of vinyl tiles as we allow dogs to visit the shop and appealing for either a floor company to help or a kind donation to help floor our shop. We would like to thank all those that have already helped donate and shop at our Charity Shop on site at the GSPCA. 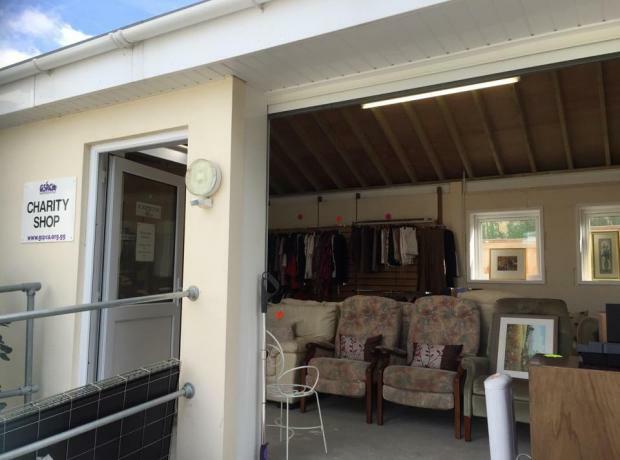 Over the last few months we have been using a section of the new build as a pop up shop where you can buy all sorts of goods from clothes to furniture. We have found that the furniture side has become very popular and we are currently appealing for anyone wanting to give away furniture that is in good condition whether household or garden to please get in touch. We also continue to appeal for clothes, bric-a-brac and other items to sell.